Configuring OrderCentral to use Fedex Web Services. 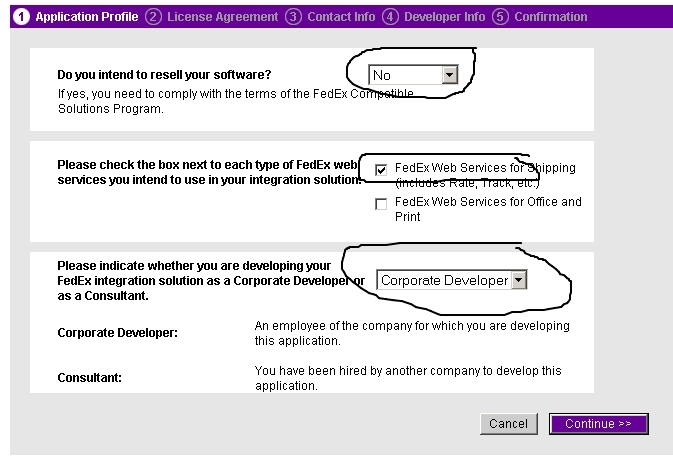 To use the online fedex shipping services you will need to create an account and get a your own “developer key” and “production key”. “Test account number” And “Test meter number”.